Open an account with WildSlots and get 100% bonus up to 100$ and a 100 free spins Starburst. At Wildslots, you’ll find all the most popular slot, casino, scratch card, instant and live casino games from the top providers in the industry! The “Welcome bonus” must be wagered at Wildslots.com within 21 days of being credited to your account. 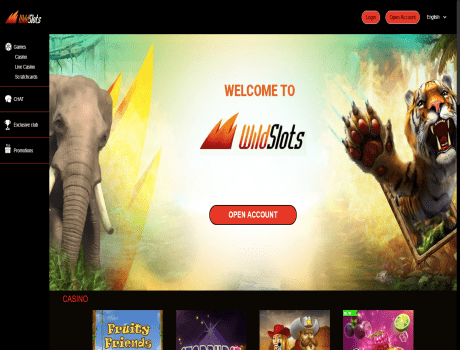 Wildslots.com reserves the right, at any time, to revoke any welcome bonus not used within the allotted time period.